Work can be hard and tiresome. Now we’re not suggesting you decrease your work ethic, but we feel that if you can make your day a little easier, then you should. You can make work day a little easier by putting on a pair of these Reebok Black RB113 Soft Toe EH Jo ... (see full details) (see specifications) #RB113. Work can be hard and tiresome. Now we’re not suggesting you decrease your work ethic, but we feel that if you can make your day a little easier, then you should. You can make work day a little easier by putting on a pair of these Reebok Black RB113 Soft Toe EH Jorie LT Oxford Work Shoes. For starters, these women’s oxford work shoes are crafted with Reebok’s easy care leather. This soft and flexible leather is also incredibly rugged as it's abrasion-resistant. What’s that mean? Well, it means that these shoes are averse to abrasions like dirt and debris. So if you ever need to clean the durable black leather uppers, are you have to do is wipe them down. Like we said, easy! To ensure that your day goes without pain, Reebok added plenty of cushioning and support to these soft toe women’s shoes. These EH oxford shoes feature a lightweight EVA foam insole. This footbed includes built-in heel pads that use specifically targeted cushioning to bolster shock absorption and support. To give you breathable dry fit, the entire interior of these all-black Reebok shoes is lined with a cooling and moisture-wicking fabric. The outsole added to these EH rated women’s shoes is Reebok’s Super Grip Plus rubber outsole. Made up of supportive shock-resistant rubber, this black outsole offers excellent traction on nearly any surface. Due to its unique tread design, this Super Grip Plus outsole is slip-resistant on the most treacherous of terrains. With their 100% non-metallic build, these soft toe black shoes are rated for their electrical hazard protection. If you put on the protective comfort and support of Reebok’s Black RB113 Soft Toe EH Jorie LT Oxford Work Shoes each and every day, you’ll be making things a little easier. Get yours from Working Person’s online store! 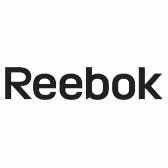 Reebok Shoes: Women's Black RB113 Soft Toe EH Jorie LT Oxford Work Shoes is being added to your cart.